Few people know that it is necessary not only to be able to work, but to be able to relax. Well-organized entertainment on the weekends helps a person to gain strength and experience before the new work week. 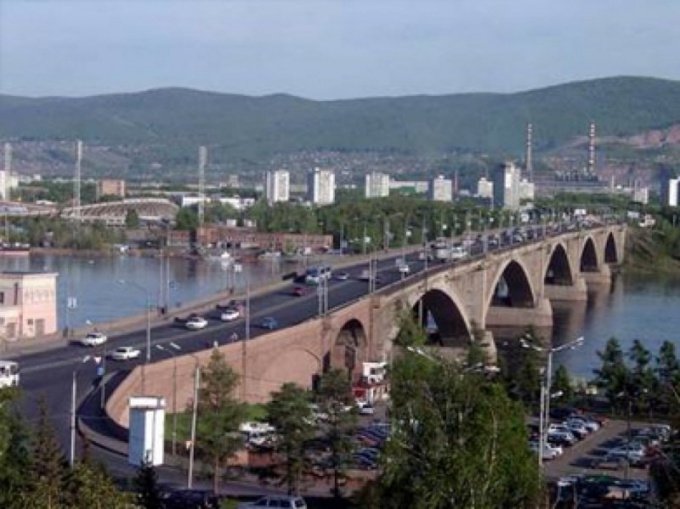 The features in the organization of leisure exist in some cities, for example, in Krasnoyarsk. Decide how and with whom you want to relax in the weekend. Depends on the choice of measures. For example, if you are going to spend time together with family, think about how to make the pastime interesting for everyone. If you want to relax in nature, visit one of the city parks, like Central Park. It is an interesting place for adults and for children, where they can safely walk along the paths or ride on the rides, for example, on the children's railway, but only in the summer. Winter in the Park ice skating rink is organized.Also enjoy the wildlife, visit the Krasnoyarsk zoo. This is one of the largest such institutions in Siberia. Another place to relax in the fresh air is a nature reserve "Stolby". There you can see rare plants, animals in the wild, and the rocks - the so-called "pillars", from which the Park got its name. For lovers of winter sports will approach the rest in the ski resort "beaver log", which is located right in the city. There is the opportunity to ride on the flat and downhill skiing, skating, snowboarding. If you are interested in history and culture, visit the Museum. Even if you are already familiar with the permanent expositions in the Krasnoyarsk local lore and art museums, you can visit one of the regularly organize special exhibitions. In addition, there is another less known but not less interesting museums such as the Museum-estate of V. I. Surikov Literary or Museum. Another interesting type of holiday could be going to the theater. In Krasnoyarsk presented various types of this art - ballet, Opera, drama, operetta. In addition to performances of core repertoire, you can visit and tour various theatre troupes from across the country. As in any large Russian city, in Krasnoyarsk there are many cinemas such as "Kinomaks-the planet" and "House of cinema". They can watch not only new Hollywood cinema, but also various retrospectives and art films.